Riyad Mahrez was desperate to join Manchester United, but the Red Devils made no bids to sign him on deadline day, reports Daily Star. 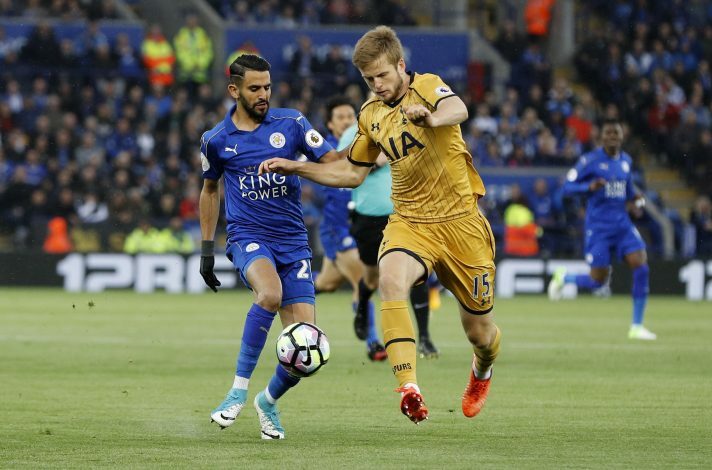 After spearheading Leicester City to the historic Premier League title in the 2015-16 season, Mahrez had a mediocre campaign last term, scoring 10 goals and registering 7 assists in 48 appearances. The 26-year-old released a statement at the end of the last season that he wants to leave the Foxes, and after that, he remained a highly sought-after figure in the summer market. Despite Arsenal, Tottenham, and Liverpool all being strongly linked with him, AS Roma were reportedly considered to be the frontrunners to lure Mahrez away from England. However, the Foxes weren’t satisfied with Roma’s offers, and in fact, rejected three bids. Due to Leicester’s continued reluctance, Roma turned their attention elsewhere, and Mahrez was out of the transfer speculations for some time before the star winger suddenly became one of the hottest properties on the deadline day. Barcelona, Chelsea, and Arsenal have strongly been linked with him, and considering the interest from the host of clubs, the Algerian football federation gave him permission to leave the national team’s camp in order to complete a move away from Leicester City. The Foxes, though, confirmed that they didn’t receive any bids for Mahrez, and he still remains a Leicester player. And just three days after the completion of the summer transfer window, the latest report in Daily Star claims that Mahrez had his heart set out on a move to Old Trafford on deadline day. Mahrez knew that the Red Devils were desperately in quest of a winger after failing to sign Ivan Perisic and Gareth Bale. The Algerian International sent his representatives to force through a move to Old Trafford on deadline day, but the Foxes did not received any bids from the English giants. It’s not a big surprise that Manchester United didn’t move for Mahrez, as Martial and Rashford have started the season in an emphatic manner, and Mourinho himself spoke highly about the young duo’s impact in the team recently.